2. "The Purpose of the Amendment"
3. "Getting Out the Vote"
5. "The Blue and the Grey"
6. "With Malice Toward None"
8. "The Southern Delegation and the Dream"
10. "Equality, Under the Law"
14. "Appomattox April 9, 1865"
15. "The Peterson House and Finale"
16. "With Malice Toward None (Piano Solo)"
After returning to the world of film scores in 2011, John Williams teams once again with Steven Spielberg for what is one of their most acclaimed recent collaborations. It's definitely a lofty goal to reinvent Abraham Lincoln into a more secluded, nuanced fellow, and there's no better way of doing it than creating a soundscape that is powerfully built on Americana. It's immediately nostalgic, patriotic, and captures a certain joy that comes with being American. 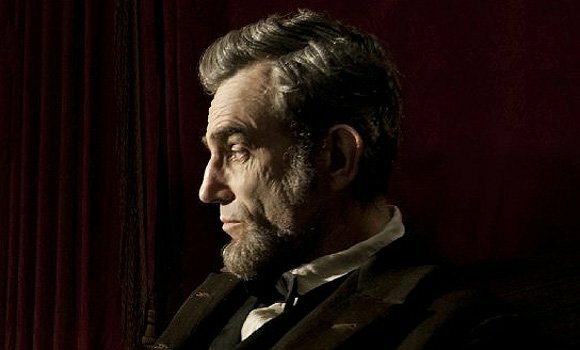 Lincoln is no doubt an important figure and the film highlights it beautifully. Williams does his best to create something that's both new and old at the same time in a way that captivates and captures what it feels like to watch photographs come to life of the 19th century, when this was all new. It's beautiful and mesmerizing. The majority of the score is based around more traditional sounding John Williams. It's got a grandiose scale to it that is matched by his ability to mix sentiments and motifs in the best ways possible. It's a beautiful score, but this early track is clearly more bumpkin than the others, finding a way to capture a more grassroots sound where there's violins and local color mixed in for good measure. It's a particularly fun track amid an album that's almost entirely somber and longing for something greater. It's still good, but it definitely feels like it was a tangent than a cohesive piece of music. Right as there's concern as to whether modern John Williams can hold his own against modern composers, it's this track that captures a sense of purpose. Suddenly he finds a way to bring the somber, melancholic underlying of Lincoln and creates a melody that may as well be among his better work. It may not have the immediacy of his iconic films, but it is powerful in ways that the mature side of Williams tends to be. It's got a waving melody that is nostalgic while also creating an emotional response in the listener. It may in fact be his finest moment in several, several years. While Williams has never been a bad composer, it's been awhile since he's released something that has that familiar and authentic charm to it. If Lincoln was a more commercial movie, this would probably be up there with Jaws, E.T., or Schindler's List in terms of memorable melodies. The recent run of John Williams may not always be on par with his vintage work, but what is immediately apparent is that he still knows how to create music that matters. This may be one of the few examples of a score where he finds that gift again and creates something beautiful, nostalgic, and sentimental. This may not be his greatest work, but it captures the feel of Lincoln so well and there's not a wrong note played among the many compositions here. It's as if the mature Williams finally realized his full potential and made something everlasting. This is tough to deny as one of his better recent works, and it more than likely will set the template for how contemporary Americana is looked at.